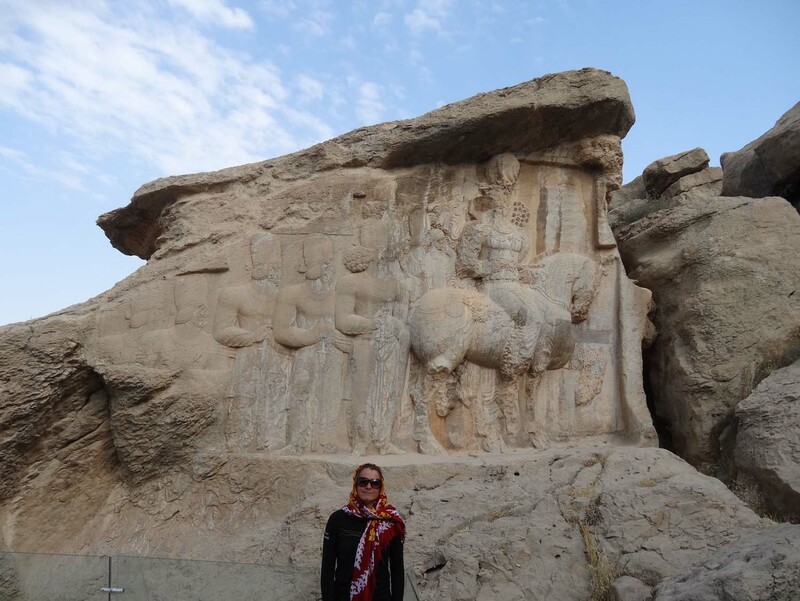 To say there is a lot of history in Iran is an understatement and everywhere there are old bridges, mosques and bas-reliefs to marvel at, ruins, bazaars, ancient cities and archeological findings to wander through. Near Yazd we saw our favourite caravan serai of the trip. Painstakingly restored to its former glory, it is now a basic, but very comfortable hotel, complete with stylish furnishings to create private rooms from the original 400-year old alcoves. A tour bus had descended on Zein-o-din which meant it was full, but the next morning we enjoyed a cuppa whilst having an informative chat with Karman, the owner. 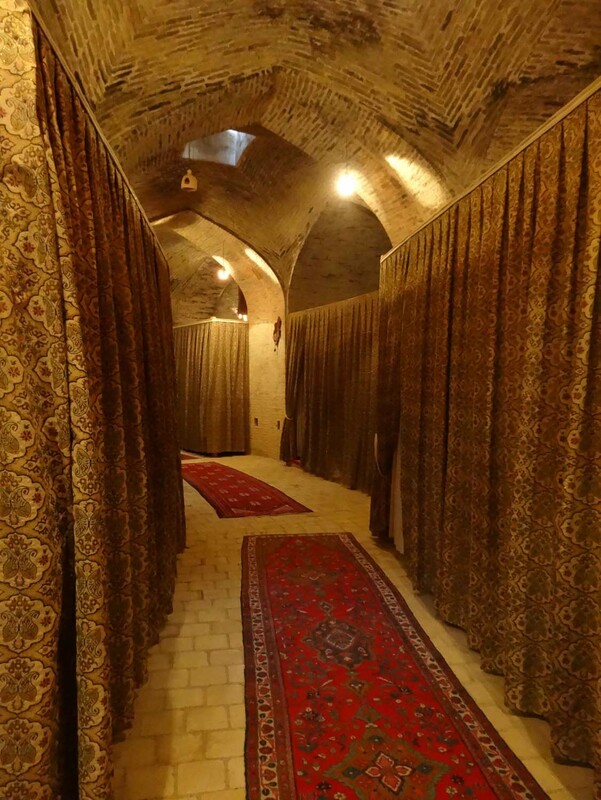 If you ever go to Iran, stay here, you’ll love it. 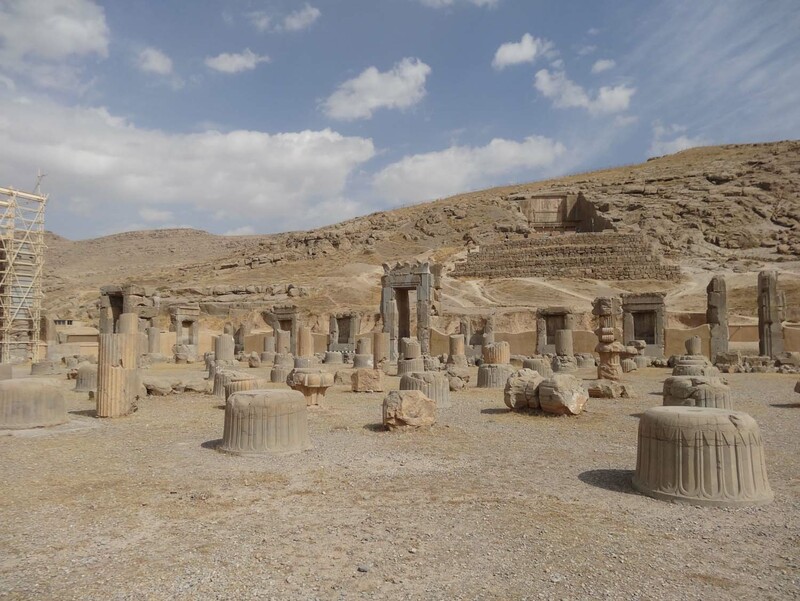 Our next stop was Pasargadae, a city built in 546BC by Cyrus the Great. We arrived there around 4pm as the sun was setting and decided we would find a place to camp before visiting the ruins as it’s always incredibly hard to find a good camp site after darkness falls. But, to our surprise, we could see all the ruins from the road around the back. 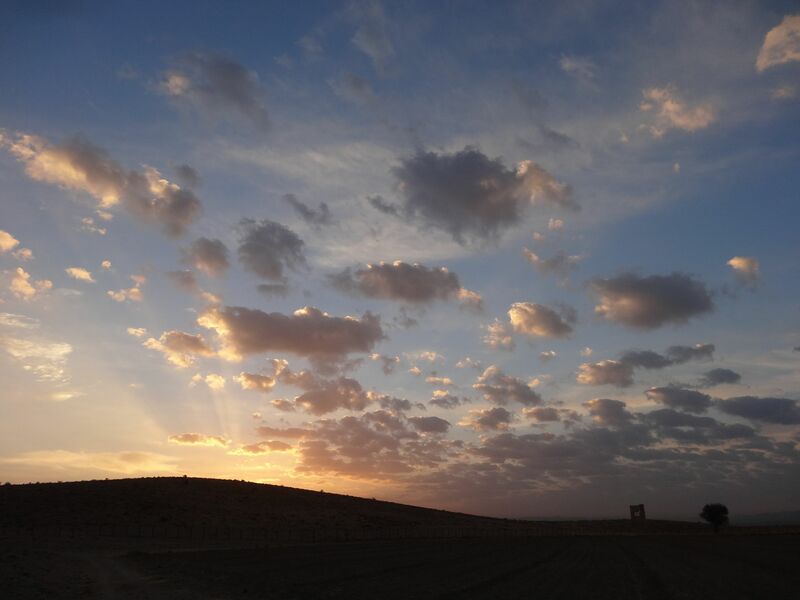 We found a great campsite amongst the fields with a view over the tomb of Cyrus and a lone gate from his palace and decided to stay put. We deserved a night off and the view from our campsite was at least as good, that’s what we told ourselves anyway (yes, we’re on a budget). 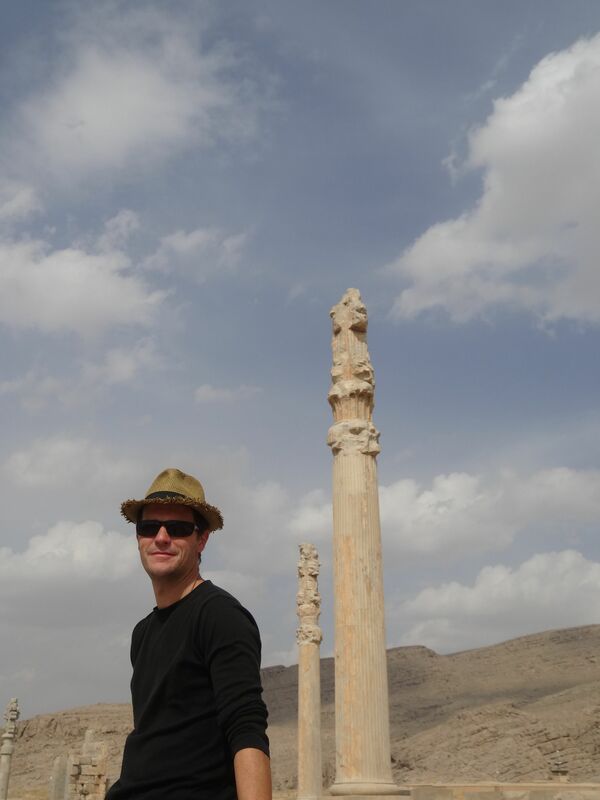 Close to Shiraz is one of Iran’s most impressive archeological sites – Persepolis. 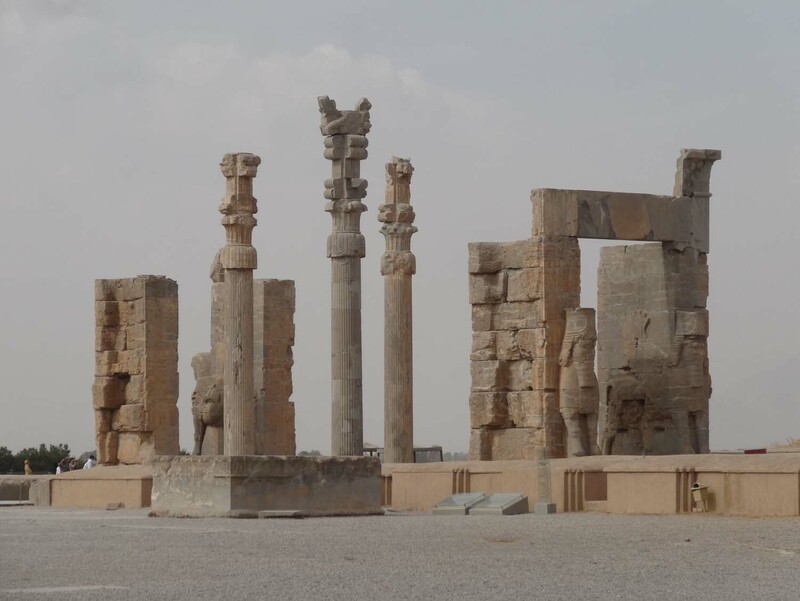 This was the capital of the Persian empire which stretched from India to Ethiopia at one point, started by king Darius I, and superseding Pasargadae. 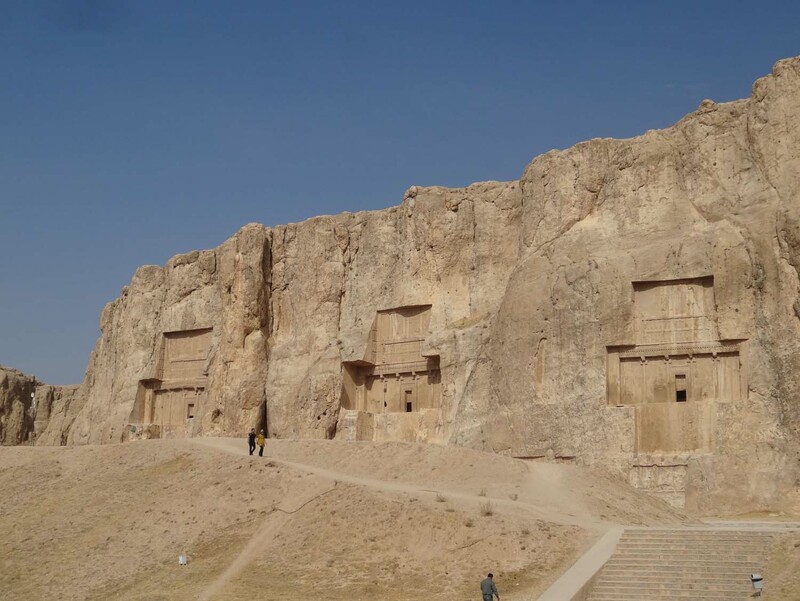 As it was hardly mentioned in historical records, some archeologists believe it was a secret city, similar to Macchu Picchu, and might have been used only during celebrations of No Ruz (New Year). Unfortunately Alexander the Great looted and then burned the whole place down after living there for a few months – that’s gratitude for you. Luckily the ruins were subsequently covered with dust and sand until 80 years ago when they were dug out, remaining remarkably well preserved. 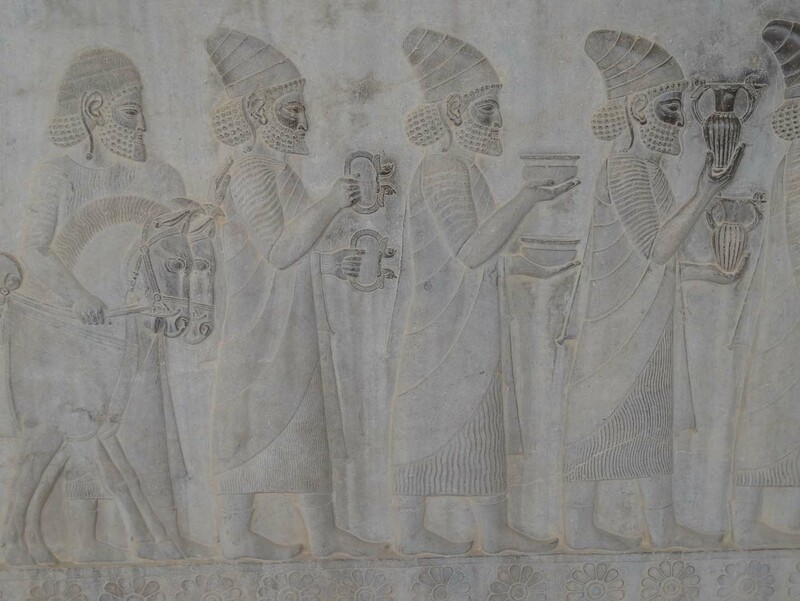 Persepolis certainly makes an impression, as the whole thing is built on a 125,000m2 terrace supported on three sides by huge retaining walls which also acted as the city’s fortification. A grand staircase leads up to it, conveniently made with low, deep steps so royalty could stride up the stairs with dignity. 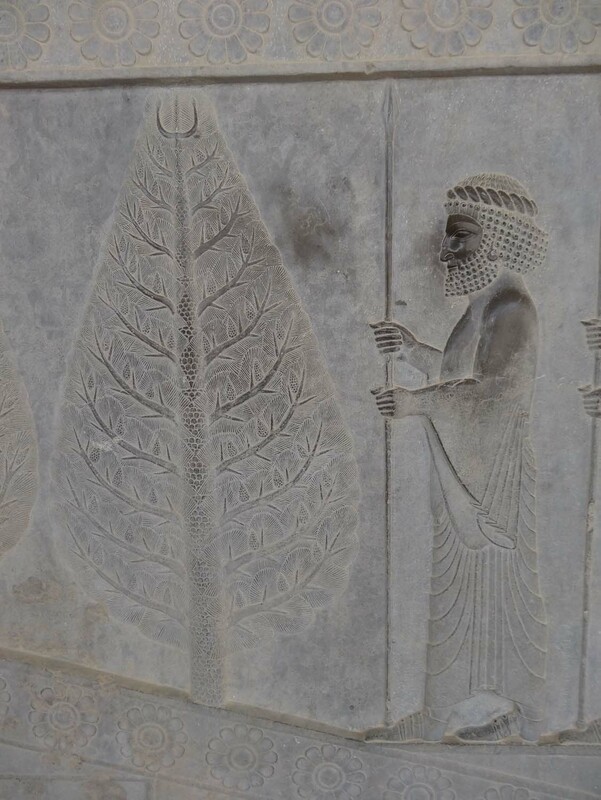 Once on the plateau of Persepolis, the level of detail in all the carvings is incredible, the size of the statues enormous and the number of columns still proudly standing the test of time staggering. 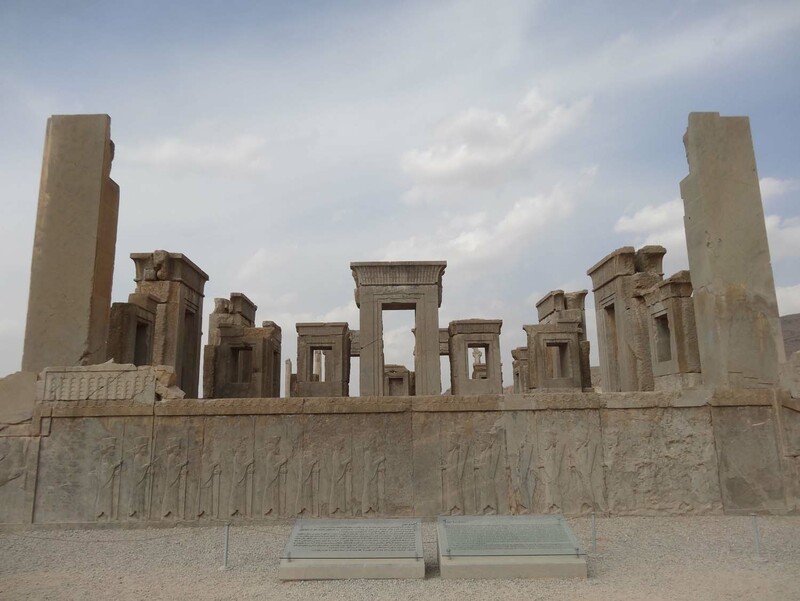 The most impressive parts of Persepolis, for us, were the Apadana staircase with its seriously impressive, detailed bas-reliefs and Xerxes’ Gateway (Gate of all Nations) at the top of the Grand Stairway leading up to the plateau. 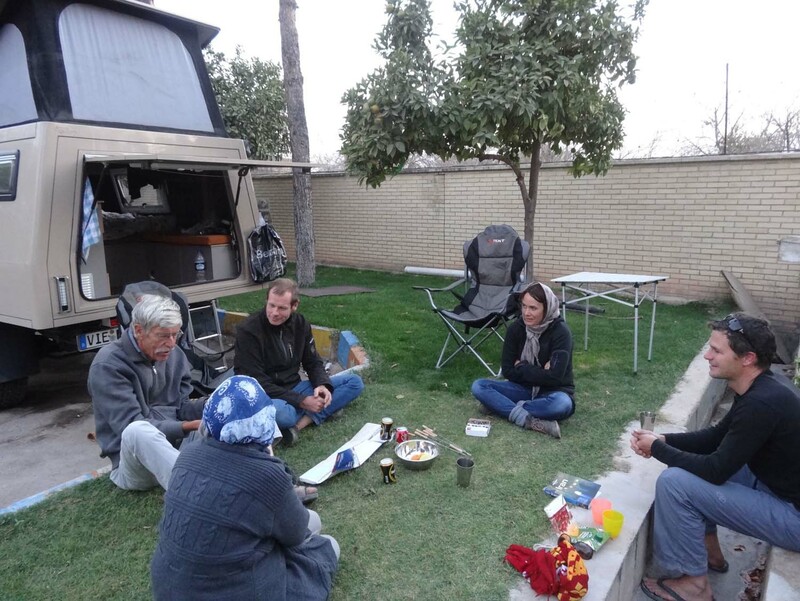 As we arrived in Persepolis we had bumped into Frank & Melanie, 2 fellow overlanders from Germany driving a Landcruiser. They were just leaving so we exchanged phone numbers and agreed we would meet up later that night in Shiraz where they knew a campground in the city. To our surprise when we arrived there, another Landcruiser from Dutch overlanders Jan & Margriet was parked there too. We had a lovely evening swapping stories and tips, rounded off with a much-needed hot shower before climbing into bed. 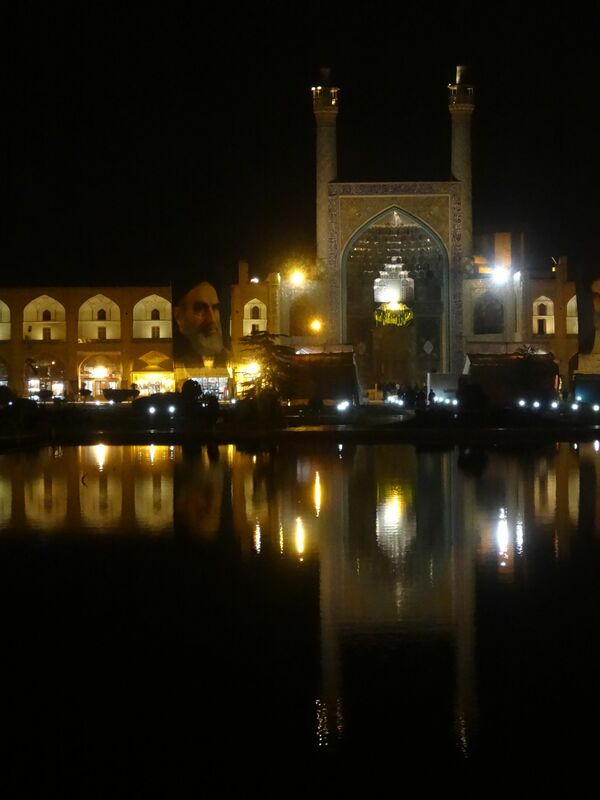 One of our favourite cities in Iran was Esfehan, with its overwhelming Imam Square (the second largest square in the world, the biggest being Tiananmen Square in Beijing), beautiful old mosques and palaces and a number of old bridges, one even dating back to the 12th century. Unfortunately the bridges were spanning a completely dry river when we were there. It’s not quite the same to see bridges across a dry riverbed. 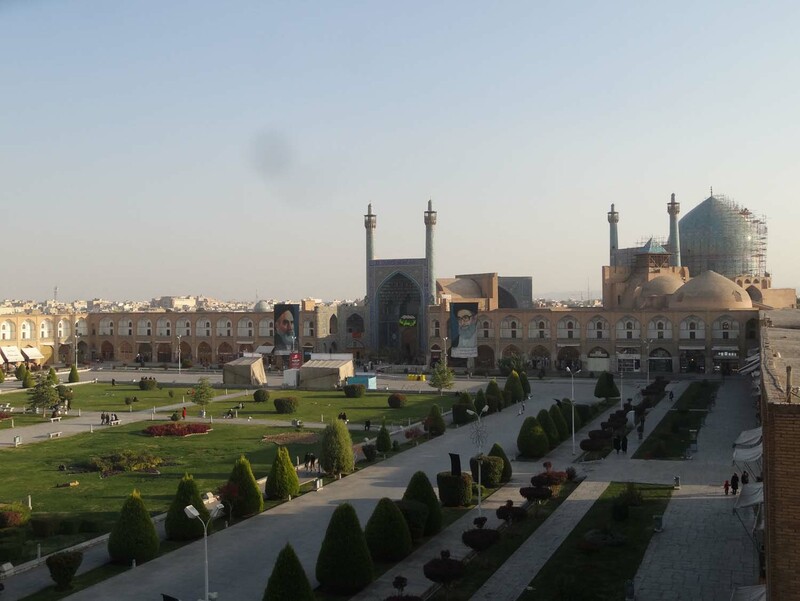 Imam Square – 160 meters wide by 508 meters long! The great Masjad-e Shah mosque dates from 1610. 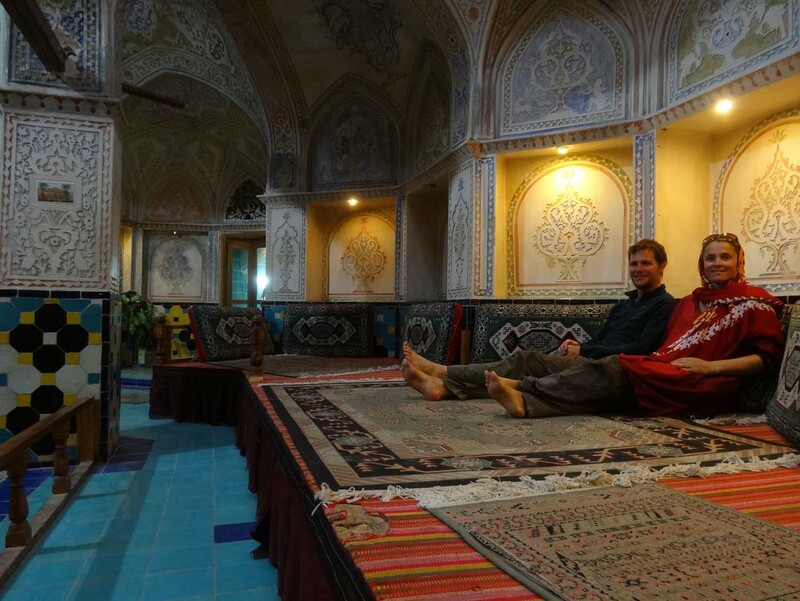 We spent 3 days in Esfehan, wandering the streets and the lovely bazar, visiting the mosques, palaces and hammams, buying our carpet of course, as well as some great Christmas presents for our families. But we also had some mundane tasks to do like laundry, emails and servicing Lara, including an oil change and swapping the well warn rear brakes. This meant we were now using the Lada breaks we had acquired in Tajikistan with the help of Rashid. In the small village of Nushabad, we discovered a few underground cities. 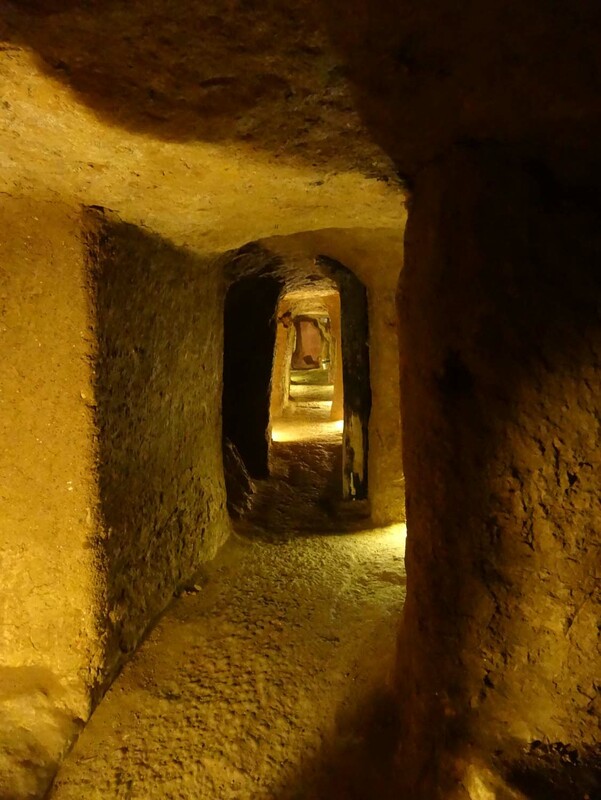 These are rather unusual and very similar to the underground cities in Cappadocia, Turkey. We decided to explore one of them and just as we got out of the car, the man with the key pitched up on his motorbike. His mates must have given him a ring as we drove into town. He opened up for us and became our guide. Whilst he didn’t speak a lot of English, with a lot of sign language and some English words from him we had a great conversation. The city was built next to a huge underground water reservoir, with an outlet near the entrance of the underground city. From the reservoir a narrow path wound its way slowly down until it intersected with another corridor. On both sides of the corridor were rooms, complete with hacked-out-of-the-wall candle holders. This is where the inhabitants of Nushabad would hide, and live, during the Mongol invasion in the 13th century complete with their livestock. It continued to be in use as an emergency shelter until 1920. Whilst impressive, it couldn’t have been very pleasant to live down there for extended periods. 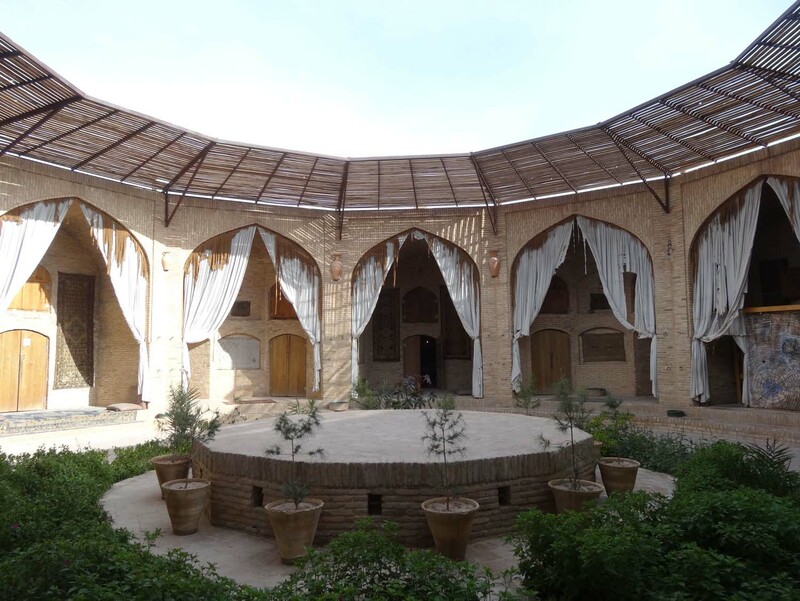 In Kashan we didn’t just eat the sensational coconut macaroons, but also visited some of the town’s traditional houses. They were mostly built in the 19th century by wealthy businessmen and some have now been turned into musea. 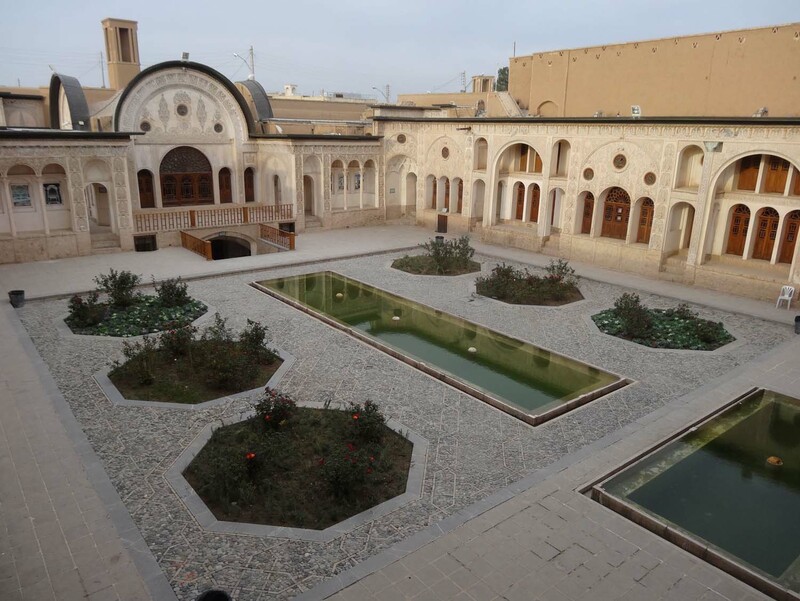 All have numerous, interlinked courtyards and are extravagantly decorated with stained glass windows, fine stucco panels, painted walls and ceilings and of course the cooling badgirs (wind towers). It was perhaps a shame the houses were completely empty as it would have come to life much more with furniture. 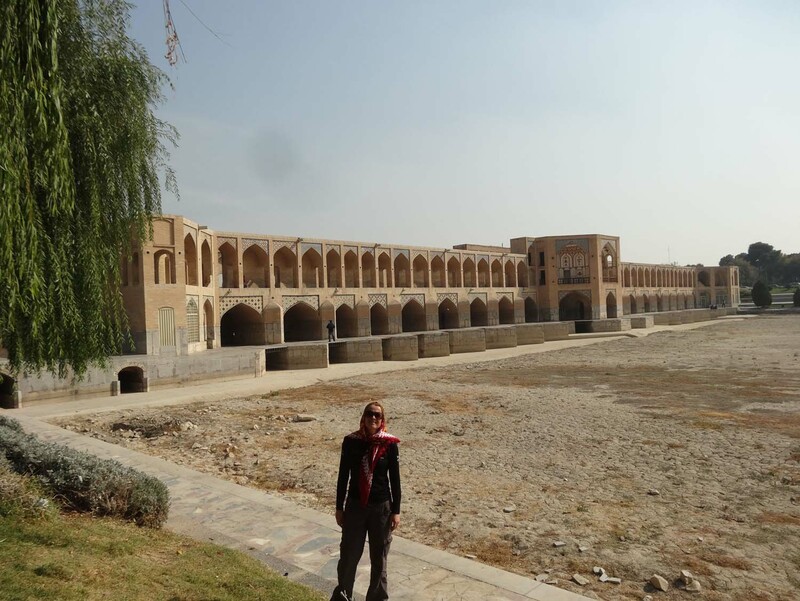 The depth of historic attractions in Iran is wonderful, but we had a schedule to keep and it was time to move on.